Are you travelling with your baby this Christmas? Depending on the nature of your baby, travelling by car is either a blessing or a curse. Some babies do well during holiday travel and others do not. The key to successful Christmas travel with your baby is to plan ahead. Does a car ride lull your baby to sleep or does it increase irritability? Plan to bring along comforting and entertaining items to both keep your baby busy and get them to sleep. You will likely need to make frequent stops along the way for feeding and changing, and perhaps just to get out and walk around. For toddlers, be prepared to interact and entertain. Planning around your baby’s sleep schedule is a must. For babies who don’t travel well, you may want to start your journey before a long sleep period. You also want to take care not to let babies who are easily lulled to oversleep on the journey, lest their sleep routines are thrown off. It may seem like a blessing if baby sleeps the entire way, but you may pay later when baby wants to be awake when you need to sleep. Again, take frequent breaks along the way for feeding, changing and attention. One parent may want to travel in the back seat with baby during waking periods to keep him or her entertained. If you have older children travelling as well, they may be able to keep baby entertained while you focus on directions, driving and the trip itself. Dress your baby for the car’s interior climate. The back seat gets less access to heat than the front, and your baby will likely need to be dressed slightly more heavily because of that. Avoid the urge to roll down windows, as the airflow may be too much for your baby to handle. Layer your baby so that you can add or subtract blankets as the car warms. Don’t forget the baby window shades to keep the sun out of their eyes! It’s not always easy to keep your baby entertained during holiday travel. It’s a small space and they are confined to their car seat whilst on the road. Keep a bag of toys handy and take them out one at a time, letting baby play with each until bored. Make sure you are playing baby-friendly music or talking to your baby during awake times. Let them also enjoy the scenery quietly for a while if it interests them. You can also tape bright pictures on the back of the seat your baby is facing or hang lightweight toys from the ceiling of the car with safety pins. Make sure baby cannot pull them down and tear the upholstery and get a hold of the pin. If you suspect the car ride will be more than your baby can handle comfortably, think about booking a flight. While flying has its own baby issues, the journey is a fraction of the travel time required on the road. When and how much napping should infants, toddlers & preschoolers have? Everyone knows that the older a child gets, the fewer naps he or she needs. Yet, few really are aware of just how much sleep a child needs. Additionally, as parents we aim to have our children sleep to our own schedule, which may or may not fit your child’s. Here is some guidance for parents on napping and sleep requirements for children of various ages. Newborns seem to sleep more than they are awake. And it seems they like to wake in the middle of the night. This is because unlike adults and older children, a newborn’s sleep cycle operates not on daylight, but on their own internal needs: feeding, changing and love. Newborns actually sleep between 10 ½ and 18 hours per day. They wake for short periods of 1-3 hours only. As parents, we can begin to hope for a more regular sleep routine by exposing our newborns to light, activity and noise during the daytime, and then providing a dimmer, quieter environment during the evenings. However, don’t get your hopes up that they will be sleeping through the night by the end of two months. Infants sleep between 9 and 12 hours at night and take two naps during the day lasting around and hour to two hours. This is an exciting time for parents, as they finally get some much deserved sleep! But don’t enable bad infant sleeping habits. A baby needs to learn how to fall asleep on their own, so put them to bed awake. This reduces the incidents of crying at night, as they learn to self-soothe and fall asleep on their own. It is also important that you develop and adhere to consistent sleeping and napping schedules over this period of time, especially at bedtime. Whether it’s a warm lavender bath or music before bed, you want to develop triggers that cue baby to sleep. Just when you thought you had the whole sleep issue conquered, suddenly your infant becomes a toddler and the schedule starts breaking down. Toddlers need 12-14 hours of sleep per day, but their nap times will decrease from 2 nap periods to one at around 18 months. 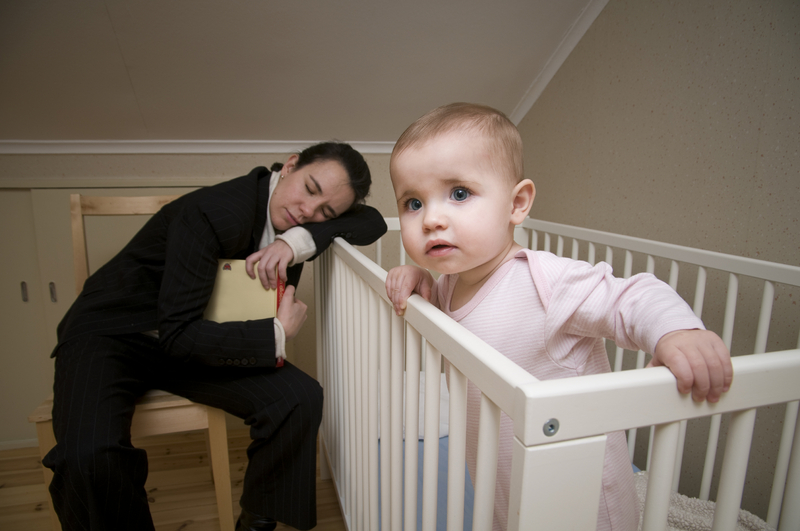 This is the time when children begin to develop a resistance to going to bed or taking naps. Nightmares and night terrors may also develop during this time. Again, consistency and routine are key. As a parent, you will have to set behavioural limits and enforce them. Communication is important, as toddlers develop these skills quickly at this age. Reassure your child without giving into their insecurities. A blanket or a stuffed animal can help them feel secure when you’re not in the room. By this time, children need much less sleep: 11-13 hours each night and no naps after they reach five years old. Preschoolers have many of the same problems as toddlers: resistance to sleeping, nightmares and may even develop sleepwalking habits. Keep a regular preschool sleep routine, especially as they approach school age. Keep in mind they may need to get up earlier and experience a need to nap again if they enter preschool. A return to naps should be temporary and many preschools incorporate ‘quiet time’ into the daily schedule. Bed Sharing or Co-sleeping with your Baby ? Many experts and parenting authorities have come out against parents sharing their bed with their infants, citing safety concerns. On the other side, organisations that promote attachment parenting or breast feeding believe the benefits outweigh the risks. Bed-sharing and co-sleeping are closely related: bed-sharing involves the infant sharing the same bed as one or more parent, and co-sleeping involves the infant sleeping close to, but on a different surface than, the parent(s). Here, we will mostly address bed-sharing with your newborn or infant. Let’s look at both sides of the debate in detail. Experts cite studies showing an increase in Sudden Infant Death Syndrome (SIDS) and suffocation amongst newborns and infants who engage in bed-sharing. The increased risk comes from soft mattresses, loose sheets and blankets, pillows and other impediments to infant breathing. There is also an increased risk of a parent rolling over onto the child, crushing or suffocating it. Opponents also point to the risk of death and injury from falling off the bed or becoming wedged between the wall and the mattress. Beyond the physical risk, opponents claim that bed-sharing or co-sleeping create stress for a child once they are expected to sleep alone. Another claim is an unhealthy dependence of the child upon the mother or father. Finally, co-sleep may interfere with a healthy relationship between the mother and father, as it reduces sexual intimacy and communication at bedtime. One of the most cited arguments for bed-sharing is that sleeping outside the parental bed is a relatively recent phenomenon – it had its onset in Europe and America in the 19th century. Bed-sharing then had another peak in the 1990’s. Beginning in 1992, a global SIDS awareness campaign effectively cut the rate of SIDS deaths by over 50%. Whilst there are studies showing a decrease in bed-sharing, many researchers believe bed-sharing is underreported due to social stigmas involved. The current reported rates in various studies range from 12-45% of parents engaging in the practice of bed-sharing with infants and young children, from routine to occasional. Yet despite this rate, the incidence of SIDS has continued to decrease. Proponents of attachment parenting cite scientific studies showing reduced levels of stress hormones (especially cortisol) in both mothers and babies who co-sleep, and others that show a more stable physiology in co-sleeping babies, including more stable temperatures, fewer long pauses in breathing and more regular heart rhythms. Additionally, psychological and emotional health has been shown by numerous studies to be higher in co-sleeping children. This includes increased happiness and self-esteem, less anxiety and fear about sleep, fewer behavioural problems and more independence as adults. Finally, co-sleeping and bed-sharing help mothers get more sleep, especially when breastfeeding. Older infants and toddlers are able to breastfeed without waking the mother. Much of the risk specifically applies to bed-sharing. Co-sleeping using specialty products can help reduce the risk of proximity between parent and child while promoting the benefits. Parents can purchase bedside bassinets that attach to the bed and are open on the parent’s side, bed-top sharing surfaces that keep baby from rolling off the bed and are raised enough that the risk of parents rolling over is reduced, and infant enclosures that are placed on the bed and prevent rollover, suffocation and wedging. Remember that you can have the advantage of proximity through a co-sleeping arrangement as opposed to a bed-sharing arrangement. 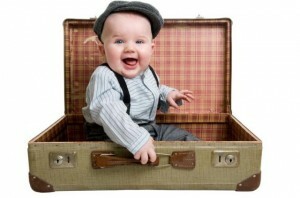 Travelling with a baby or child can present some tough challenges for parents. This is especially true when it comes to adjusting to new sleep patterns. Disruptions to your child’s sleep cycle can occur regardless of whether you cross time zones, as many parents encourage sleep during the travel itself, throwing their schedule off. Here are a few tips for managing sleep difficulties during your holiday travels. Are infant/toddler care seats allowed? Is there a bassinet or other infant sleep accommodations? If your travel time is long, napping and sleep are inevitable. This is especially true if your child is lulled to sleep by motion, as many are. You may not be able to avoid it. Consider your time of arrival: if you are arriving late at night, a child who has spent the day sleeping (off schedule) will be difficult to manage. Be prepared to entertain your child during the trip. Play games, interact and talk – even if you are travelling with an infant. Babies, toddlers and preschool children all have different activity and sleep needs. The best course – whenever possible – is to stick to regular sleeping cycles and nap patterns. Jumping time zones presents an extra challenge and needs additional consideration. A dual time watch can help you monitor home time and destination time, allowing you to set up a schedule to help your child adjust his or her sleep patterns during the trip. Incremental adjustments are best, but not always possible. Many children have difficulty adjusting their sleep cycles whilst on holiday for the simple fact that they are in unfamiliar surroundings. Surrounding them with familiar items and keeping on schedule as much as possible minimises the disruption. Take your own infant crib or carrier sheets and your child’s favourite toys – especially those they associate with sleep. Read the same books at night and sing the same songs. If you have to bunk up with an older child, make sure you explain that it is only temporary and that upon arriving back at home, they will be expected to sleep on their own again. Do this positively and offer a small reward for them to return to sleeping on their own – gold stars, a new book and a lot of praise are good. Travelling with baby need not be a traumatic experience for either parent or child. Preparing adequately before your journey, asking the right questions and bringing along familiar items can significantly reduce the impact of travel on your children’s schedule and sleep patterns. Guy Fawkes Night, or Bonfire Night, as we normally know it, is a great celebration for adults and children alike. Unfortunately, many parents are ready to put their children to bed long before the revelry is over. Here are a few tips on how to enjoy the event and keep your baby’s schedule on track. There are a number of important baby safety considerations to keep in mind if you plan on getting out to enjoy the fireworks. There are two primary issues with fireworks: smoke and noise. The smoke from fireworks and bonfires not only can be immediately toxic but can cause respiratory problems for days after. Be sure to keep your little ones away from the smoke. This will also help reduce the risk of injury from sparks and fire. Keep in mind that even sparklers are dangerous and should never be given to children under age five. 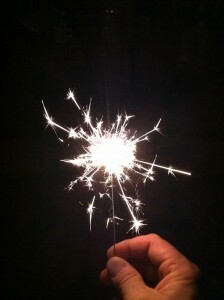 Get educated on important sparkler safety tips as well. If you are attending fireworks, be sure to provide ear protection, even if you are seated away from the worst of the noise. Noises louder than 80dB can harm hearing development in young children and babies. Fireworks register at 140dB and can cause permanent hearing loss. Proper protection for your children includes earmuffs but not earplugs. Not only are plugs damaging to ear canals, they can be a choking hazard. Don’t forget to keep baby warm. Layering works best. Make sure hands and feet are not neglected. Remember that temperatures change quickly this time of year and even if the evening starts out warm or slightly cool, it will quickly decline as the evening goes on. Whether at home or about, Bonfire Night often presents bedtime challenges for parents and disrupt baby routines and sleep patterns. Fireworks are the main culprit, due to the noise that goes on late into the night. Getting babies to sleep on this night can be very trying for parents. If you are out and about, be sure that you have a place where baby can sleep away from the worst of the noise from the crowds and fireworks. Take turns with your partner staying with baby in the car or, if you are with friends and family, inside in a quiet room. Babies and toddlers may react to the noise with fear or panic. Be calm and reassuring with your child. A familiar voice and presence is more helpful than an outside care provider in these circumstances. A late nap can help with babies and children who will be staying up past normal bedtimes to celebrate. It’s important, however, not to force children to stay awake. Always have a back-up plan for tired or grumpy children or those who become afraid. If you are at home and plan to forego the festivities, you can still give your baby a good night’s sleep with ear protection. Depending on the noise level and activity in your neighbourhood, a knit cap may be all that is needed to do the trick. For those with noisy surroundings, try nursing pads over the ears or cotton wads in the outer ear secured by a cap or bonnet. This will help protect against the worst of the noise. You may even consider relocating your child’s crib for the evening to a room away from the noisiest of the festivities. Bonfire Night can be a fun and exciting time for the entire family. You can keep the disturbances to baby sleep patterns and baby schedules to a minimum with a just a little thought and preparation. Getting babies to sleep need not be overly difficult, and baby’s bedtime can stay on track if you think ahead.